[ps4c] [drive]DriveClub "Problem is in the Code"
Sony France Boss On DriveClub PS4 Controversy: "Adding More Servers Won't Fix It, Problem Is In The Code"
After a one year delay, DriveClub finally arrived on retail shelves, the graphics/visuals was impressive but there was some nasty issue in the other side of the game: "Connectivity and Server" issue and many players were unable to connect to the game servers. Things are improving slowly and steadily but still a lot of work is needed as officially confirmed by Sony Boss Shuhei Yoshida himself (and there is no time frame). Many PlayStation fans are wondering why Sony is not going forward and adding some more servers for DriveClub to curb the issue once and for all. Philippe Cardon, Sony VP for France, has finally revealed what exactly is the reason behind this nasty DriveClub issue and why adding more servers won't fix the issues. "First of all, I really want to apologize with all the players for the connection problems. 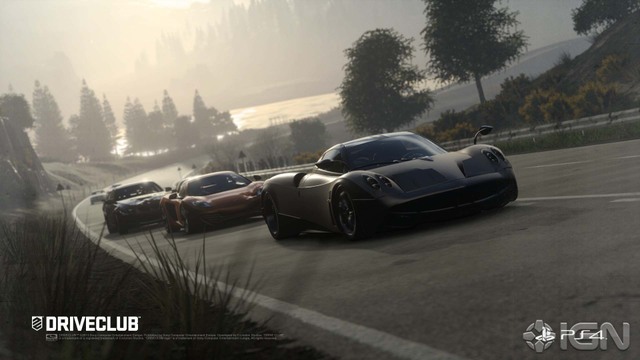 While coding Driveclub, an error has been made which prevents a lot of people to play at the same time" said Cardon. "This is being fixed, but it takes a lot more time than adding 1000, 2000 or 3000 servers since it's not a server problem. This needs more than a simple patch, the problem is in the code, in the way the network accepts sessions. I don't know when it will be solved, but every day we're allowing more players in and all of the development team is working to improve the gameplay experience. Yes, it's not normal and I apologize again." A much needed and proper explanation but still questions will be raised against Evolution Studios and Sony: How could they make such a massive blunder when DriveClub's main focus was multiplayer.